W.e.f, Sunday, 29 Oct 2017, All GoAir operations in Delhi will be Shifted to Terminal 2, Pls take a Note of the same. Now there are three Terminals in Delhi. Terminal 3 - JetAirways, Air India, Vistara and AirAsia. 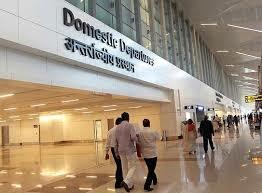 Terminal 3 - All international Flights including IndiGo and SpiceJet.